The date for the 16th Avon Valley Tidy Memorial Show at Hetton Le Hole, County Durham is Sunday 22nd May 2016. 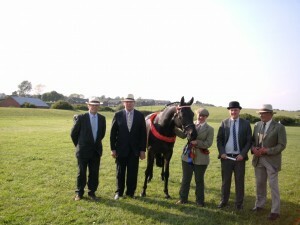 Organiser Mandy Mitchell held the first show in 2001 following the loss of her beloved horse Avonvalley Tidy to grass sickness. The show raised £500 that year and has since gone from strength to strength, having raised almost £24,000 to date. Mandy nearly gave up on the show in 2010 when she lost another precious horse, Blackhill Glisten to EGS and it all seemed just too much to bear. She is very glad she did carry on, however hard it was at the time, as she has seen much progress in research into grass sickness, especially with the advent of the nationwide vaccine trial.